More laptop, monitor, HDTV, and DVD/Blu-ray deals are in store for you today. Oh yeah, and I got some free food and COD4 for cheap, so I'm going to be gaming instead of working. Shh, don't tell Jason. • Lenovo G530-44623U 15.4" Dual Core Laptop for $379.99 plus free shipping (normally $446). • Dell Vostro 220 Core 2 Duo Desktop with 19" LCD Monitor plus a 1TB External Hard Drive for $409 (normally $660). • Asus EEE PC 701SD Intel Celeron M 7in Netbook (512MB/8GB SSD/Linux) for $149.99 plus free shipping (normally $199). • Dell Vostro 1720 Core 2 Duo T6570 2.1GHz 17in LED-Backlit Laptop (2GB/250GB) for $599 plus free shipping (normally $826). • 24" Dell S2409W Full HD Widescreen LCD Monitor for $199.00 plus free shipping (normally $279 - use coupon code HT6G73V?WFV7L5). • 22'' SVA 2209w Widescreen LCD Monitor for $119.99 plus free shipping (normally $179 - use this rebate form). • 20" Samsung 2033SW Widescreen LCD Monitor for $139.99 plus free shipping (normally $169). • 19" Hanns-G HW-191DPB LCD Monitor for $99.99 plus free shipping (normally $129). • Seagate Momentus 320GB 2.5" Laptop Hard Drive $59.99 plus free shipping (normally $70 - use this rebate form). • Loigtech Wireless Keyboard for $27.99 plus free shipping (normally $49.99). • Sony Playstation Portable Slim 2000 $119.99 plus free shipping (normally $169.99). • Call of Duty 4: Modern Warfare - Game of the Year Edition on Xbox 360 for $29.99 plus free shipping (normally $49.99). • You're in the Movies (with Camera) on Xbox 360 for $9.82 (normally $19.99). 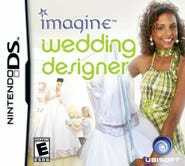 • Imagine Wedding on DS for $9.98 (normally $29.99 - valid today only). • Elite Beat Agent on DS for $9.99 plus free shipping (normally $29.99). • Xbox 360 Wireless Controller for $29.97 plus free shipping (normally $49.99). • Xbox DVD Playback Kit for $3.49 plus free shipping (normally $9.99). • 52" Samsung LN52A750 1080p 120Hz LCD TV $1,602 (normally $1,787 - use coupon code LSJUNE75). • 46" Toshiba REGZA 46XV645U 1080p 120Hz LCD TV for $1,097.99 plus free shipping (normally $1,289). • 37" Vizio VO37LF 1080p LCD TV for $599 plus free shipping (normally $675 - use coupon code 0CHSTX0M?BNHSZ). Packaging) Seasons 1-6 + 2 Movies on DVD for $74 plus free shipping (normally $135.99). • Psych: The Complete First and Second Season for $21 (normally $30). • Superhero Collection on Blu-ray for $79.95 plus free shipping (normally $111.99). • Motorola Bluetooth Adapter for iPod for $17 plus free shipping (normally $25). • TomTom XL 340S GPS Navigation Receiver for $140 plus free shipping (normally $170). • Belkin F7M055 SanDisk Sansa Charging Kit for $7 plus free shipping (normally $16.50). • Headset Cable Wrap Organizer (2 Pack) for $0.60 plus free shipping (normally $ - use coupon code MLC401045). • Mars Chocolates for $0 (250,000 available every Friday). • Beverage from Border's for $0 (must bring this in-store coupon - valid through 6/18). • White Castle Pork Sliders for $0. • Forbes Magazine Subscription for $0. • T-Rowe Price Family Records Organizer CD Rom for $0. • New Testament Bible for $0. • AMAZING Bible CD for $0. • National Stroke Association's 2009-2010 Pocket Calendar for $0. • Sundiwear Sticker Pack for $0. • "The Key" by Speech Debelle MP3 Download for $0. • "Hey Fella, Ya Fell" by Other Girls MP3 Download for $0.